fought monsters and got the girl! Blood! Monsters! Naked island girls! Blood! The so-called “Blood Island Trilogy”— a trio of bizarre late-’60s/early-’70s horror films made in the Philippines starring John Ashley — holds a strange fascination for monster movie fans. My entry point — the reason I first watched these films with keen interest — was Ashley. 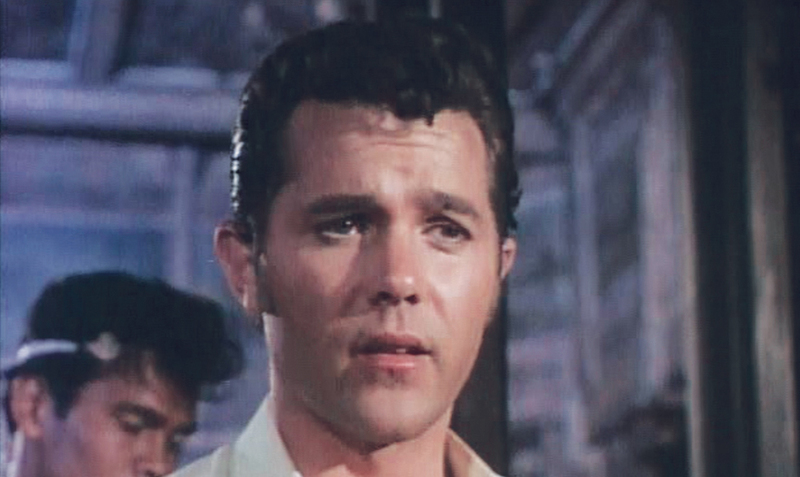 It was such a trip seeing the young hero of the 1958 howler “Frankenstein’s Daughter” still fighting monsters (and still rocking a pompadour and sideburns) into the 1970s. The Kansas City native — who died tragically young at age 63 of a heart attack in 1997 — is no household word, but he’s a hero to aficionados of several genres: horror, J.D., beach party and classic TV. The first has John Wayne spotting Ashley, who was then visiting the set of Duke’s un-finest hour, “The Conqueror” (1956). Wayne reportedly hooked up Ashley with a role on the TV series “Men of Annapolis” (1957-58). Ashley and his lovely cohorts sing “You’ve Got to Have Ee-ooo” in “How to Make a Monster” (1958). The other has writer/producer Lou Rusoff auditioning Ashley’s then-girlfriend for a role in “Dragstrip Girl” (1957). Ashley accompanied her; Rusoff saw Ashley and offered him an audition; Ashley got the job; his girlfriend did not. Whether these anecdotes are veracious or apocryphal, Ashley went on to be top-billed in 11 movies, and later became a successful producer (if you equate producing “The A Team” with success). But aficionados remember Ashley for his acting career, which had three distinct periods. Ashley was in most of American International’s beach party movies, often as Frankie Avalon’s beachgoing buddy. In “Beach Blanket Bingo,” Ashley plays a stinker as Avalon’s romantic rival. In “How to Stuff a Wild Bikini” (which Avalon largely sat out), Ashley strums an unplugged red Stratocaster on the beach. Left: Ashley trades lines with old pros Buddy Ebsen and Irene Ryan on “The Beverly Hillbillies.” Right: Back by the cement pond with Elly May (Donna Douglas). Ashley also did episodic television during the period (“Death Valley Days,” “Wagon Train,” “Dr. Kildare”), and even co-starred in a series: ABC’s one-season wonder about cool cats in fast cars, “Straightaway” (1961-62). Ashley still wore greasy kids’ stuff in the Filipino movies, which must have helped keep his coif in place in the sweltering tropical heat. Then came the ’70s, and Ashley — still clinging to his pompadour and sideburns, and only slightly fleshier of face — made an improbable comeback as a leading man in movies, albeit in Filipino movies. Through it all, Ashley exuded casual charm. He was never going to win an Oscar, but he communicated with the camera. Let’s put it this way: In his movies, Ashley came across as a cool guy to hang out with (though don’t leave him alone with your girlfriend). It is thanks to Ashley’s Philippines connection that he segued into producing. More and more, he worked behind-the-scenes in film. It led to another bright spot on his filmography: an associate-producer credit on Francis Ford Coppola’s “Apocalypse Now” (in which the Philippines doubled for Vietnam, something Ashley helped expedite). Ashley later produced the goofball action series “The A Team.” That’s his voice narrating the opening credits in every episode. 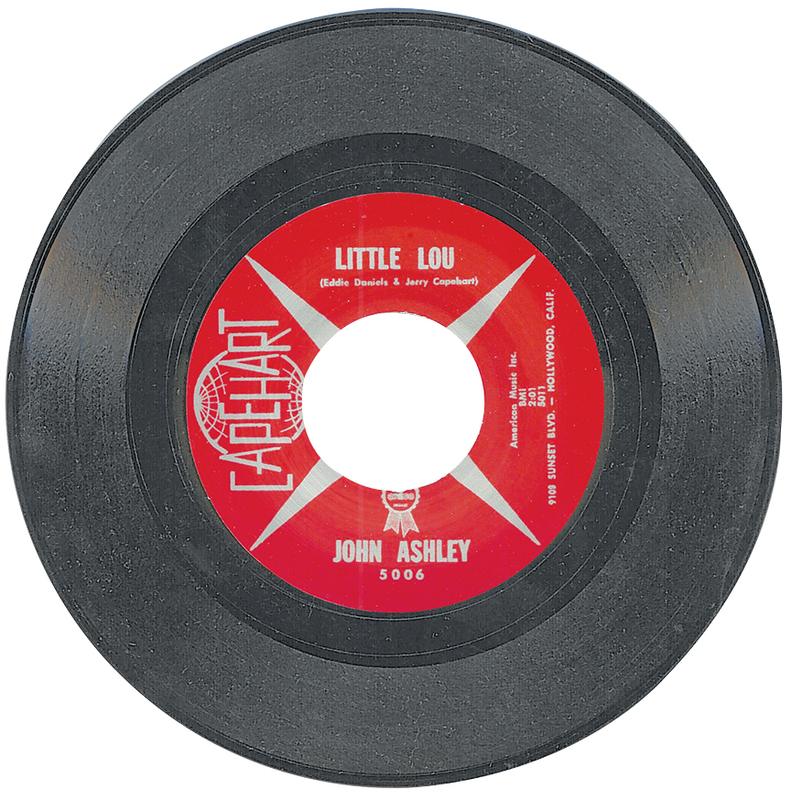 John Ashley stayed in the game by getting behind the camera. 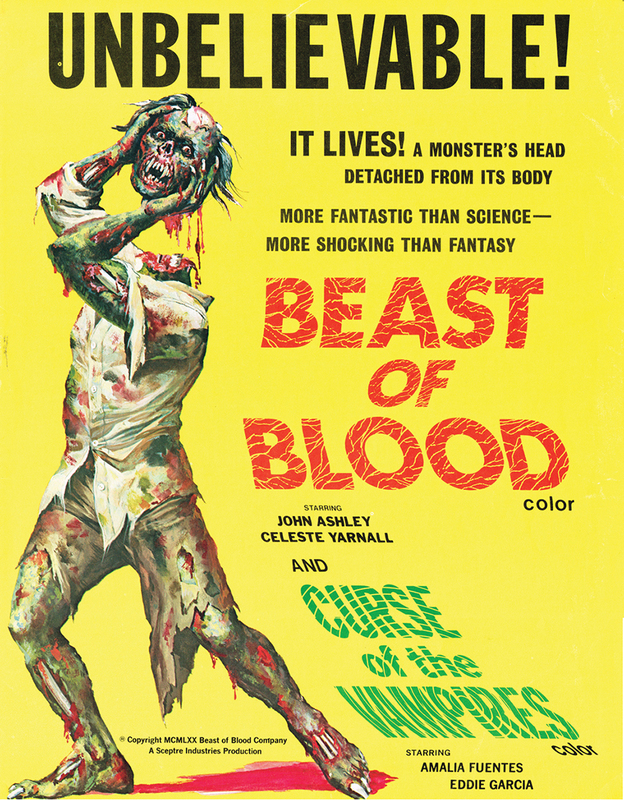 And three films in particular paved the way for this transition: “Brides of Blood” (1968), “Mad Doctor of Blood Island” (1969) and “Beast of Blood” (1971).